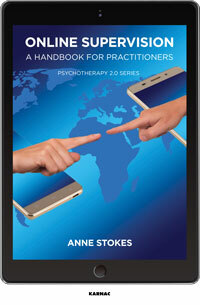 Anne Stokes is a senior accredited BACP counsellor, a supervisor and trainer. She has been a pioneer in introducing online therapy into the UK and has written widely on the subject. Till recently, she directed Online Training Ltd, founded the Online Counselling and Therapy in Action Conferences with her co-director, Gill Jones, and was instrumental in setting up the Association for Counselling and Therapy Online. She divides her time between her homes in the UK and France and loves new challenges.